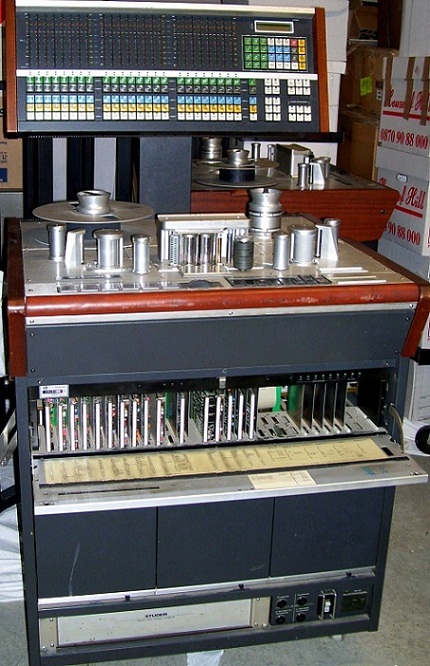 Generations of top-premium STUDER tape recorders have influenced the history of professional audio recording. Ten-thousands prove daily demanding use the validity of STUDER's long-standing business philosophy which places overriding importance on quality, reliability, and long service life. 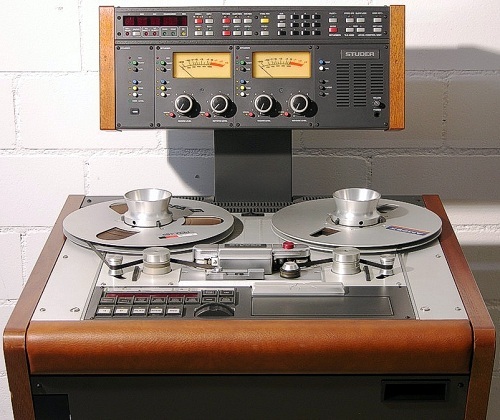 Through decades of cooperation with leading specialists from radio, television, and music recording studios, STUDER machines have been perfected into professional tools that are appreciated worldwide. 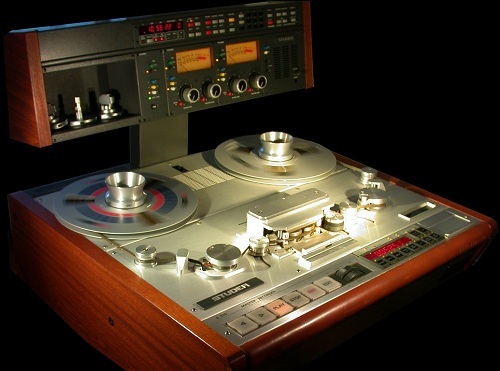 This background and experience in the development and manufacturing of tape recorders which satisfy the most diverse requirements are necessary in order to produce a totally new machine generation such as the STUDER A820. The concept of the STUDER A820 generation is based on traditional values such as stability, precision, and ruggedness, prerequisites for maintaining demanding specifications over a long service life. The handling concept and the peripherals compatibility have also been generously enhanced in line with future requirements. Key elements are not only a superb transport with DC motors, advanced servo circuits, and flexible audio electronics but also the operating philosophy. A software concept has been developed that goes far beyond ergonomic considerations and extends not only to machine handling but also ensures optimal access and operating facilities when the STUDER A820 is interconnected in a system with other audio and video machines. The totally new tape transport is designed for reels with a diameter of up to 14" and 1/4" or 1/2" tape. 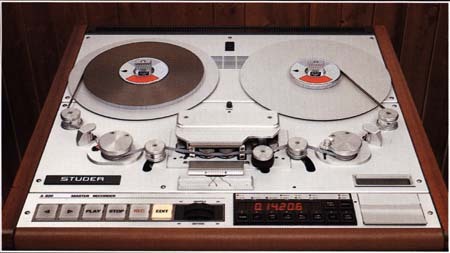 The STUDER A820 can be easily and quickly converted; only one tool is required, all screws are captive. The rigid chill-cast aluminum alloy chassis as well as the components of the mechanical assemblies have been processed on advanced CNC precision machines. This results not only in a uniformly high standard of precision for each individual machine but the state-of-the-art, numerically controlled production at Studer also ensures that mechanical assemblies can be readily replaced without loss of quality. A network of processors under control of a master processor is responsible for controlling the recorder. Each basic function has its own processor, e.g. for spooling motor and tape tension control, capstan servo or peripherals control. Because of this sophisticated combination of programmable microelectronics, advanced servo systems, and precision mechanics the STUDER A820 is a "fast", highly responsive machine that treats your valuable tapes very gently. The multiprocessor system is advantageous not only for mastering highly sensitive control mechanisms, thus permissting flexible accomodation of different fucntional sequences, but it also supports much enhanced, superflexible adaptation to diverse operating requirements through user-programmable controls. 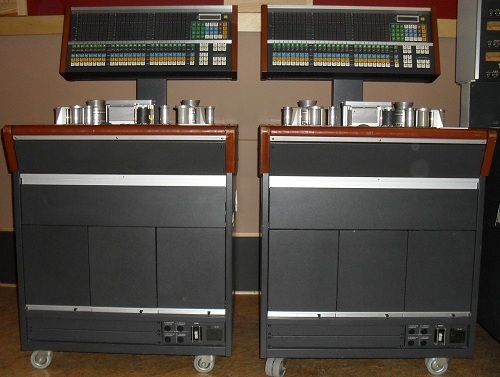 The STUDER A820 is equipped with 5 motors: 3 DC motors for the tape transport and 2 synchronous motors for the low-noise pinch roller unit. Rugged, high-torque motors with disc-type rotors featuring favorable control characteristics are used for the spooling functions; a top-quality closed-loop servo control system and a separate processor are responsible for the excellent drive characteristics and the new tape processing facilitites. Actual values concerning tape tension, spooling motor speeds, and sense of rotation are supplied to the processor by non-contacting sensors. The reference values for tape tension and spooling speed are software-defined and stored in memory. 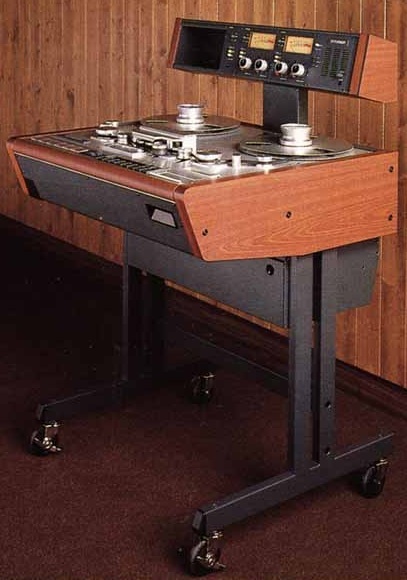 The tape path geometry has been carefully optimized; close head spacing, precision tape guidance - also directly in front of the capstan - and processor controlled interaction of the transport sequences ensure perfect tape travel. But despite all these microelectronics the traditional work techniques have not been neglected; a cutting/splicing block and a tape list assembly for manual fade in/out have been provided. The complete electronics for processor control, tape transport logic, and audio electronics becomes conveniently accessible when the tape deck is tilted. A row of LEDs provides information on the individual supply voltages which are monitored by software. The interfacing possibilities of a STUDER A820 are manifold. Both conventional parallel remote control and serial control by means of programmable remote functions are standard features. The optional SMPTE/EBU bus interface (RS 232/422) offers universal facilities. 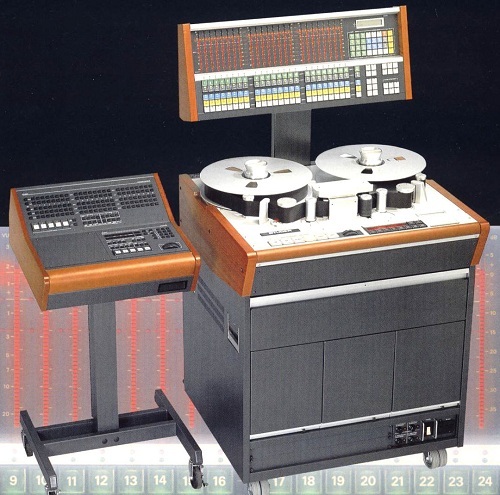 For coordinated host system control to be implemented by the studio of tomorrow, the STUDER A820 is eminently suited because the internal control functions as well as the interaction with partner machines over the peripheral interfaces can be defined by software programming. Broadcasting versions without VU meter overbridge feature a monitor speaker that is built into the tape transport cover. The individual audio channels as well as the CUE channel (time code track) can be monitored by means of additional push buttons located behind the headblock. The functions of this selector and of the headphone socket are jumper-programmable and can, therefore, be matched to the user's requirements. 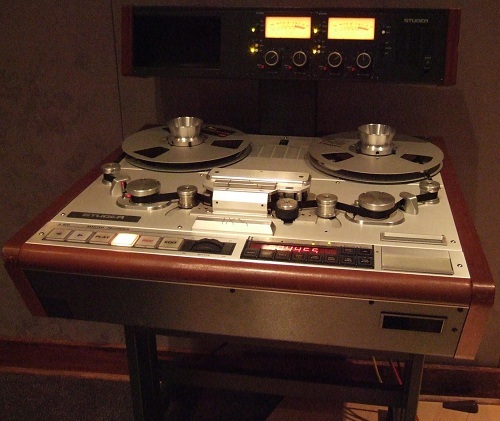 Do you have content, to add, about the Studer A820 Tape Machine or associated topics? Please feel free to Share it, here!